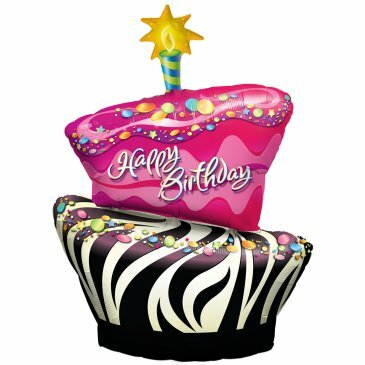 This Zebra/Pink glitter cake balloon. will give a “wow” effect on your table! Foil balloons make decorating for your party easy and fun. Add to a balloon bouquet or tie to the birthday child’s chair for a great look! Includes (1) uninflated Foil balloon which measures approximately 41″ high. Pattern is printed on both sides of the balloon – may have two different images on either side.